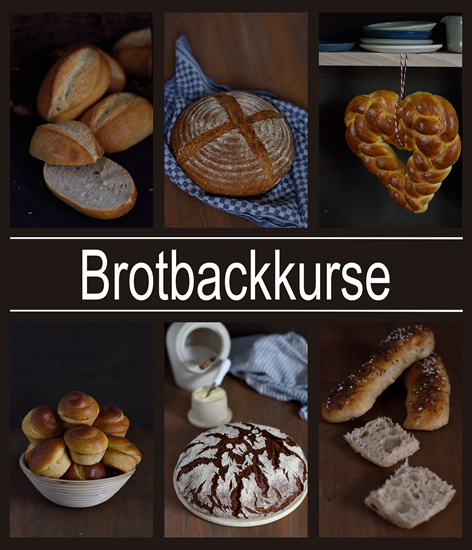 For Bread Baking Beginners I baked a recipe which I had already for some time in my mind: A yeast only variant of the famous Vinschgauer. Instead of sourdough, the necessary acid for the spicy rye flat bread stems from a generaous amount of buttermilk. Several times during this year I got the inspiration for a recipe from recipe wishes of readers or friends. The idea for these Buttery Whole Wheat Rolls stems from a recipe I got from a nighbour with the wish for a yeast reduced recipe upgrade. I tweak some more details and was rewarded with the most delicious whole grain rolls I baked until now. 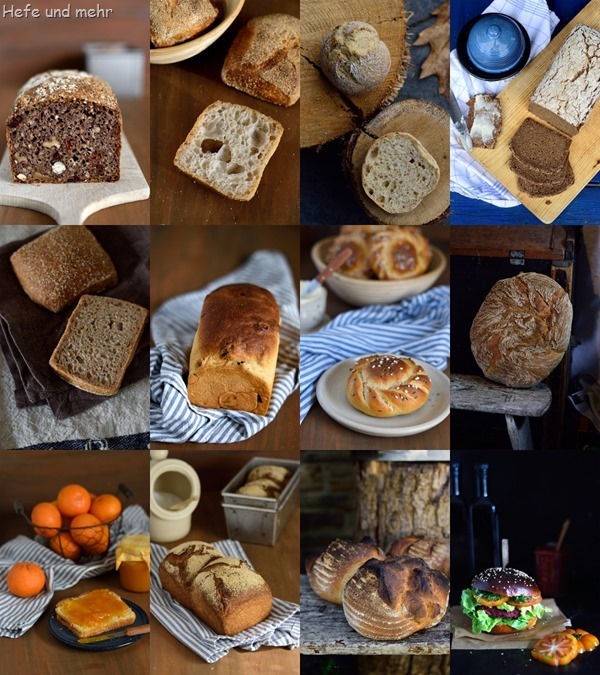 For my ancient grain baking course I planed to developed a recipe for whole emmer toast bread – quick and easy I thought. But the stubborn recipe was very troublesome and kept me busy most of the year. 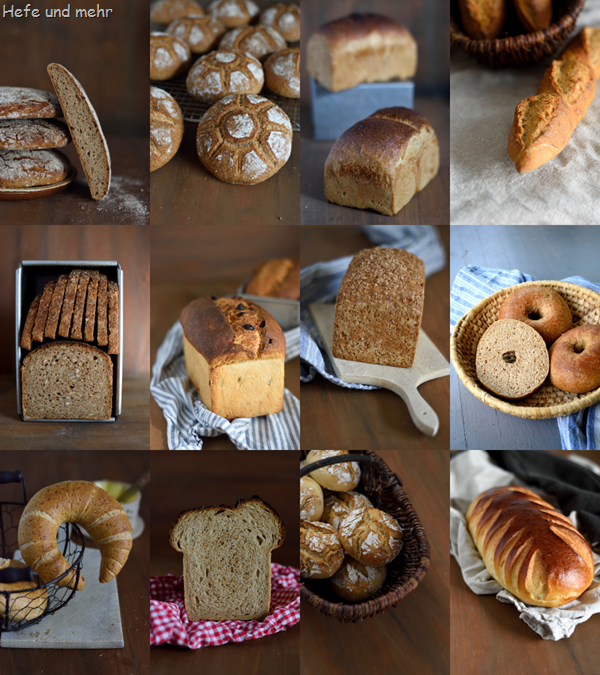 The good thing was that I learned a lot about baking with emmer and other grain with weak gluten network. And as by-product of recipe testing I got a bunch of delicious recipes, like this Spelt Sandwich Bread with Emmer. And because I had for my recipes always some ancient grain flour around, I had the idea of baking a Dinkel-Einkorn-Baguette. The crumb is less open then from a regular Baguette, but the flavour is outstanding! I baked the Three Grain Bread in two Variants: Always a sign for my love of a recipe. Traditional Breads where baked this year, too. The Kleenroggen where directly my new favourite for sweet raisin bread. The special thing about this recipe is the good amount of rye which yields a tender crumb! Experiments are something I love, too. The liebe ich ja immer sehr. The Sprouted Spelt Bread was one of these. Bagel are always a favourite of ours, so testing the idea of whole grain bagels was tempting and yielded a delicious breakfast. The use of enzyme active bean flour was one of my strategies to cope with the weak gluten network of ancient grain flours. Besides of my toast breads I used it for these spelt crescents were it helps to archive the crisp crust. The Nullbruut is a recipe from my home region. As it is impossible to buy it in a bakery nowadays, baking it by myself is the only solution. The Crusty Rye Rolls contain a high amount of rye and were created to match a readers wish. And then I baked Butter Blatz for the local newspaper Kölner Stadtanzeigers which featured a kind portrait of the blog and me. That was 2018 here on the blog. I would like to thank all my readers for your visits, your nice comments and emails. These feedbacks are always so motivating for me! I hope, you will come back next year and if you find the time to drop a comment every now and then I’m even more happy! And so I wish you and your families a great new years eve and a happy year 2019! Auch ich sage Danke schön mit den besten Wünschen für das kommende Jahr. 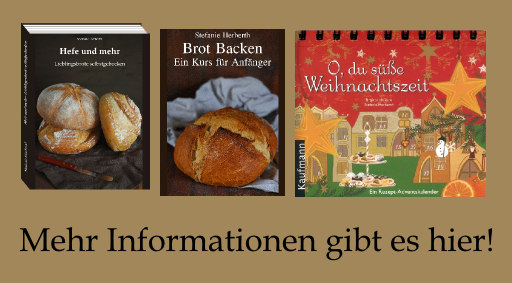 Ich backe immer wieder gern was von deinem Blog und freue mich auf das neue Buch. sich nicht zu ernst zu nehmen um dann fröhlich, im Kreis all unserer Liebe, auch das Jahr 2020 begrüßen zu können ……..